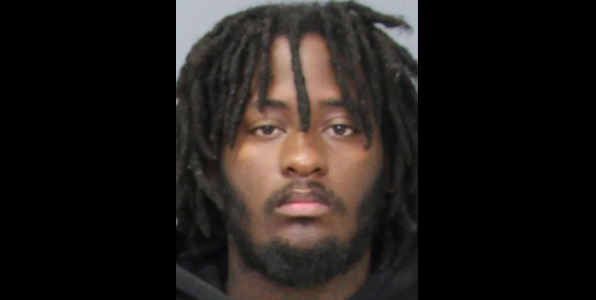 Charles County Sheriff’s detectives have charged Andre Raynard Hilliard Johnson, 24, of La Plata, in connection with a shooting that occurred on October 3 in Waldorf. Investigation revealed a group of people, one of which was a resident, were standing outside a house in the 11200 block of Wildmeadows Street when another group of people approached and stood nearby; people in both groups had been involved in a previous altercation. Johnson walked toward the group who had gathered in front of the house, pulled out a handgun and fired several shots. At least one person – who was standing in front of the house and who has not yet been identified by detectives – fired back towards Johnson, but struck 17-year-old Elisha Amon Cole who was standing nearby. During the course of the investigation, Johnson was identified as being one of the persons who fired a gun during this incident. He was subsequently arrested on October 19 and charged with attempted second-degree murder, first-degree assault, second-degree assault and other charges for shooting toward the people in front of the house. The investigation is ongoing and investigators are urging anyone with information to contact Det. J. Elliott at (301) 609-6515. Tipsters wishing to remain anonymous may contact Charles County Crime Solvers by calling 1-866-411-TIPS.